Make this Christmas delicious by baking yummy Christmas Chocolate Rum Cake. This easy recipe will fetch you bundles of compliments for your baking skill this Christmas. Quick to make and tempting to taste, Christmas Chocolate Rum Cake Recipe is one of the best Christmas cake recipes. · First of all, preheat the oven at 325 degrees F. Greece one 10 inch pan and place chopped nuts at the bottom of the pan. · Beat cake mix, pudding mix, eggs, oil. 1/ 2 cup water and 1/ 2 cup rum with an electric mixer for 2 minutes. Then, pour the batter in the prepared pan over the top of the chopped nuts. · Now, make at 325 degrees F for 50 to 55 minutes. 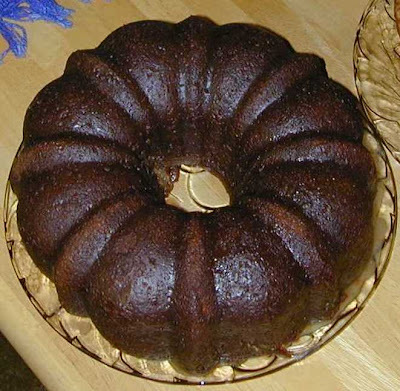 · Make Rum Glaze by combining butter or margarine, 1/ 4 cup rum, 1/ 4 cup water and sugar. Boil this mixture once and then cook for just 2 minutes. · Now, pour this mixture immediately over still warm cake and serve after setting it for 10 to 15 minutes.